Later today, the Key government is expected to announce that New Zealand is planning to send about 100 troops on a training mission to Iraq. This will be followed by a predictably divided debate in Parliament. Have Kiwi troops ever been sent on a mission overseas with a weaker mandate than this Iraqi deployment? 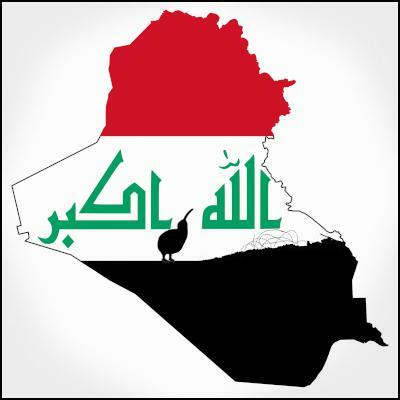 It appears to lack authority and support (a) among the Parliament of Iraq that we are supposed to be helping and (b) among the Parliament and public here at home. The drawn-out delay in announcing our small troop contribution to the fight against Islamic State has been due to ongoing uncertainty about the legal status of our troops while in Iraq. A so-called “status of forces” agreement between the Iraq and New Zealand was meant to include (at the very least) a formal invitation from the Iraqis – this document would go on to specify that our troops are not on Iraqi soil as foreign invaders but as guests, and would spell out the level of legal immunity our troops would have if their actions caused any harm to local citizens or their property. Even the ability of our troops to wear uniforms and carry weapons depends on the detail in this agreement. Yet our troops are heading into Iraq without any such document in place. Unfortunately, that’s a reflection of the fact that the Iraqi Parliament has lately been in no fit state to ratify such a document. As this column reported a week ago, the assassination by Shi’ite militia of the prominent Sunni sheikh Qasim al-Janabi and the kidnapping and severe beating of his nephew, a Sunni MP – not to mention the killing of all their bodyguards – has proved the last straw for the Sunni minority, and has caused the Sunni bloc of MPs to boycott parliamentary proceedings in protest. Meaning: there seems to be no functioning Iraqi Parliament, which means the Iraqi government (ie the one we’re sending troops to support) is issuing its “invitations” to foreign troops purely by unilateral decree. That’s the bind the US-led coalition forces now find themselves in. While the Iranian- backed Shia militia have given some much-needed steel to the resistance against Islamic State, they have also been responsible for further mass killings and expulsions among the Sunni population – which was the same process that drove the Sunni community into the arms of Islamic State in the first place. In effect, New Zealand is going to Iraq to help fight Islamic State at the invitation of a Shia-dominated government – one that is backed by the same Shia militia who are busily fuelling support for IS among the Sunni community. This is an argument for why New Zealand should really be going to Iraq – if at all – in order to train the Kurdish peshmerga forces, not the Iraqi Army. Focussing our effort on helping the Kurds – who have been fighting the IS successfully without having anything like the comparable weapons or training – would also be entirely feasible, now that the Americans have just opened a new training facility in Irbil, in northern Iraq. To do so, however, would mean negotiating a ‘status of forces’ agreement with the regional government of Iraqi Kurdistan, and this would lend the Kurds a diplomatic status bound to upset a Baghdad government sensitive to any moves towards federalism, and to granting any greater level of autonomy to the Kurds. So once again, New Zealand’s military options and its political decisions are being dictated by the aberrations that disfigure the current governance of Iraq. A different kind of polarization about Iraq has been evident in the New Zealand Parliament. Probably, no military mission we’ve sent abroad into a combat zone has ever faced such a broad wall of parliamentary opposition. Even though our troops are being sent to train Iraqi troops on how to fight the Islamic State – and not to engage IS directly in combat – the government enjoys only the narrowest margin of parliamentary support. Of late, Labour, the Greens, United Future, New Zealand First, and the Maori Party have all expressed their opposition to the Iraq deployment. Under our system, the government of the day is not compelled to hold and win a parliamentary vote on its decision to send troops overseas. Yet if Parliament was allowed to vote on the Iraq deployment, the chances are that the Key government – now that Northland MP Mike Sabin has resigned – would require the support of the Act Party, which earned less than 1% of the vote at the last election, to carry the day. Hardly a ringing mandate. That’s unfortunate. Any troops sent abroad to carry the New Zealand flag in a combat zone should have the comfort of knowing their actions are supported by the public, and by almost all political parties. In the past, that‘s largely been the case. (eg, only the Greens opposed the deployment to Afghanistan in 2003) Abhorrent as the excesses of Islamic State are, many New Zealanders remain unconvinced by the logic of this deployment. They have good reason to feel that way. Will the training efforts of our troops make any difference whatsoever to the Iraqi people, or to the fortunes of Islamic State? Will it put our soldiers in harm’s way for no winnable cause and with no exit timetable in mind? As a result of this deployment, will this country and its citizens now become the targets of terrorism? The decision to be announced later today could have consequences for all of us, for years to come. Canada’s top general says he didn’t foresee that Canadian special forces troops would be directing air strikes in Iraq when he publicly ruled out this role during interviews last fall. General Tom Lawson, Chief of the Defence Staff, told MPs at a House of Commons committee Thursday that “we’re seeing an evolution in the mission” for 70 military advisers in Iraq. According to what Defence Minister Gerry Brownlee told Green Party questioner Kennedy Graham in Parliament last week, our troops would not be engaged in the same kind of “assist” roles – ie. spotting targets for subsequent air strikes – that the Canadian special forces have been carrying out, which has exposed them to enemy fire from IS, and drawn them into firefights. Given that the Canadians have plainly been surprised by how their non-combat job has evolved into a combat one, why should we believe any of the assurances being given by the Key government? After all, there is an obvious military need for us to be doing exactly what the Canadians have been doing. In the past week, there have been persistent rumours that the US-led coalition is planning to mount a major 25,000 troop spring offensive (ie in April/May) to try and liberate the northern city of Mosul. The initial attack on Mosul will involve five Iraqi army brigades that will be trained beforehand by U.S. forces and other members of the global coalition [ my emphasis] to defeat the Islamic State. An estimated 2,000 Iraq troops make up a single brigade.